Say goodbye to exams, homework and deadlines because school's out for summer! Here at Holiday Hypermarket we're experts at finding you the best family holiday destinations at the amazing school holiday prices - the choices are endless with our range of deals. 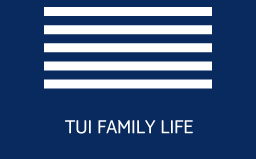 That fancy TUI Family Life holiday you've been longing for is calling your name! Don't waste another minute, term time is nearly over and that last minute holiday is just a click away. Make summer 2018 one to remember with our sensational deals. 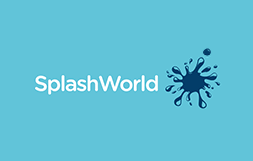 SplashWorld hotels are certainly wet and wild with unlimited access to some of the world's best waterparks. Feel the rush as you take on plunging waterslides or play it cool and float along the lazy river. The kids are well covered with an excellent kids club on hand and a variety of mouth-watering dining options available. 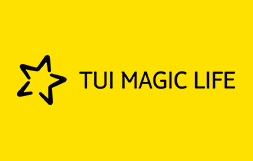 Add a little luxury to this years school holiday escape with a TUI Family Life hotel, bringing you elements of relaxation, fun and top-notch entertainment all in one holiday. Whilst you're topping up your tan, the kids will be having the time of their life with arts and crafts, treasure hunts and many other exciting activities on offer. Looking for an action-packed holiday? You've came to the right place! 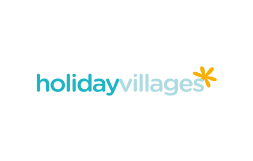 First Choice Holiday Villages are completely child focused boasting obstacle courses, football academies and there's even a stage school for your tiny tots to brush up on their performing arts! Don't worry, there's still plenty of rest and relaxation to be had too. Situated on the doorstep of your favourite colourful coastline, TUI Magic Life hotels are always located near the beach – making sandcastles with your little ones has never been easier! They boast a top sports programme, 24-hour All Inclusive, mesmerising entertainment including soaring acrobats and expert dancers. All this and more right at your fingertips! Whether you're looking for an All Inclusive family holiday, budget-friendly break away or some added luxury, we have just the package holidays for you. Your summer holiday break will never be hard to find with our selection of hotels and destinations. Bucket-list holiday hotspots from the sun-drench shores of the Dominican Republic to the colourful coast of the Canary Islands, the possibilities are never-ending. And you can do it all with your favourite tour operators TUI, First Choice, Thomas Cook and more. Find a hotel to suit your every need with our range of collections. Thrill seekers will fall head over heels for a SplashWorld hotel where you'll be in close range of jaw-dropping waterparks, some even located in your hotel – what a treat! Or maybe First Choice Holiday Villages are up your street with exciting features including aerial adventures and splashparks. No matter which collection you choose, you and the whole family are guaranteed to have the holiday of a lifetime - here are a few of our school holiday favourites. We know how hard it is to find the perfect holiday for you and your little ones during the school holidays, that's why we bring you more choice, great prices and exclusive discounts. You can even bag yourself £50 off your summer 2018 holiday to the Balearic Islands using BAL50 voucher code*. Your experience is important to us and with that in mind you won't find it easier to find your dream family holiday this summer. It's never too late! With up to 70% discount on brochure prices and online deals, how could you possibly refuse?